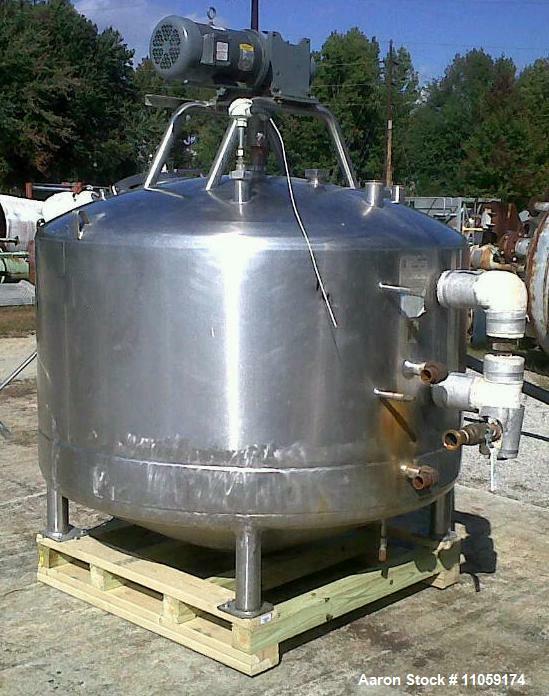 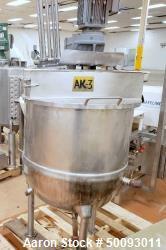 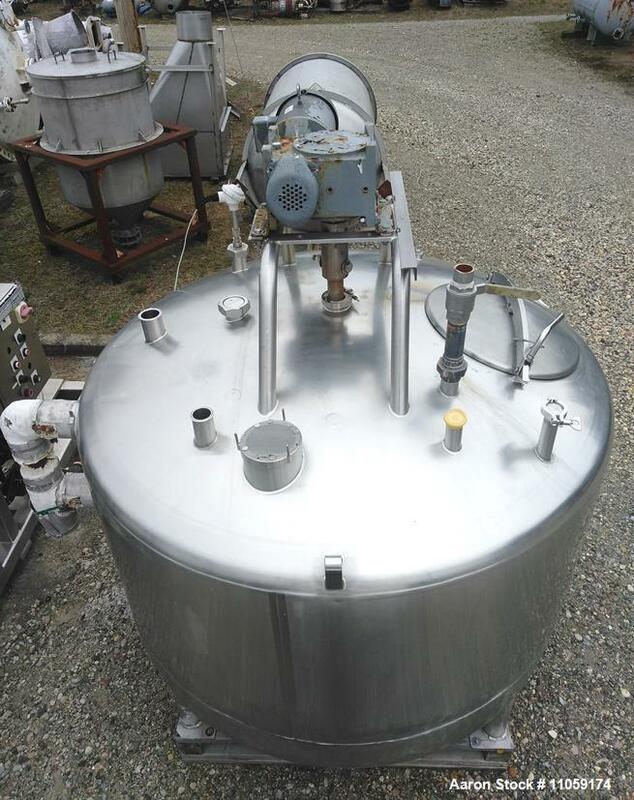 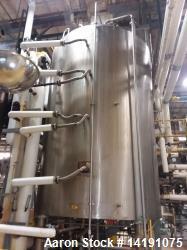 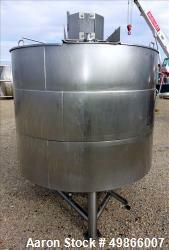 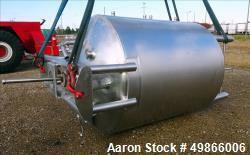 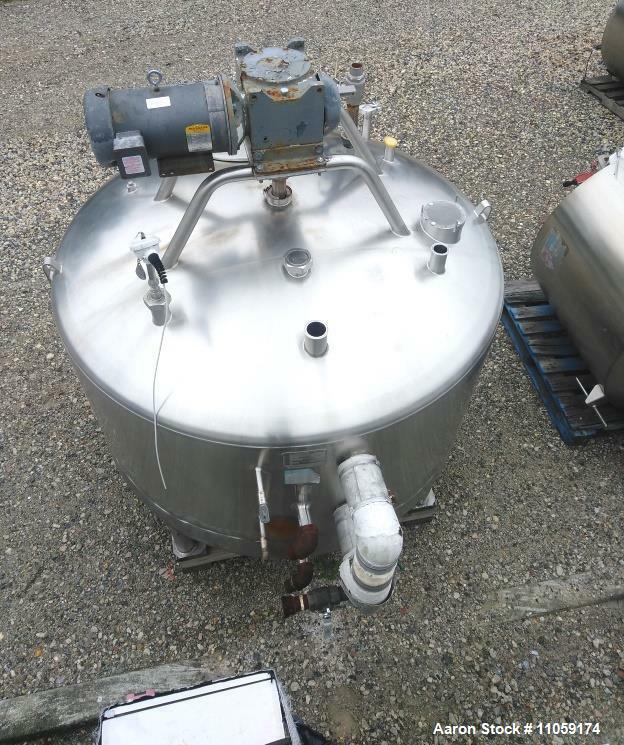 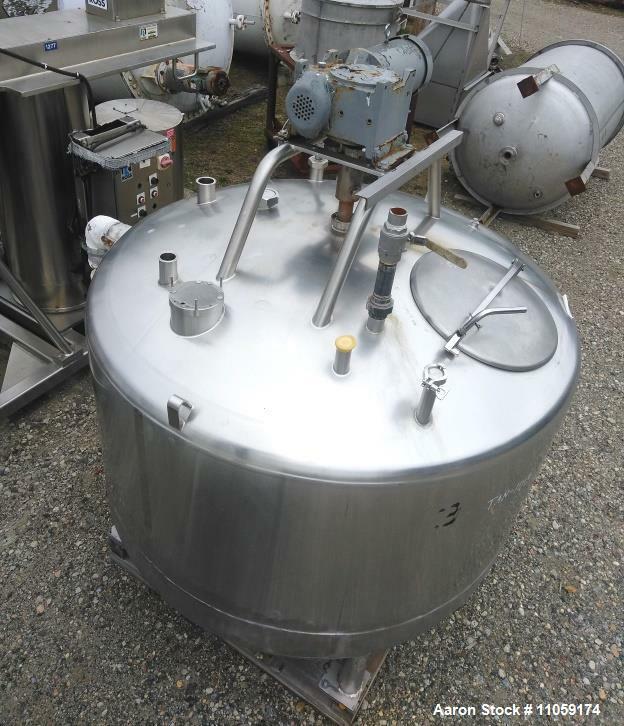 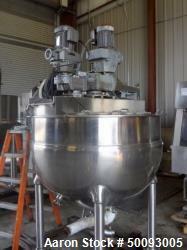 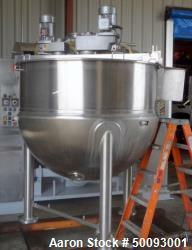 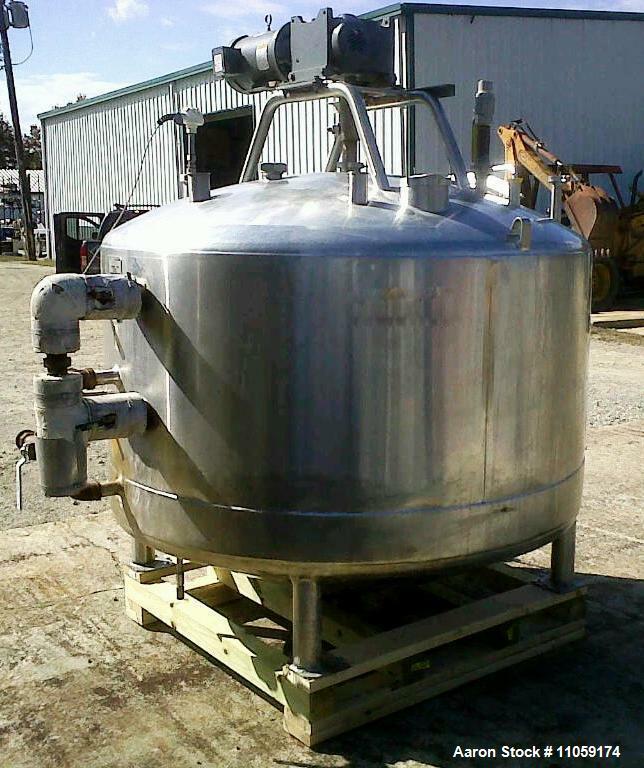 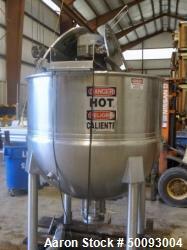 Used- 500 Gallon Mueller Jacketed Mixing Kettle/Tank. 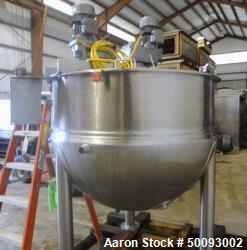 Used- 500 Gallon Mueller Jacketed Mixing Kettle/Tank. 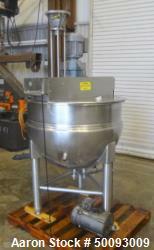 Cone bottom with sweep type agitator/mixer. 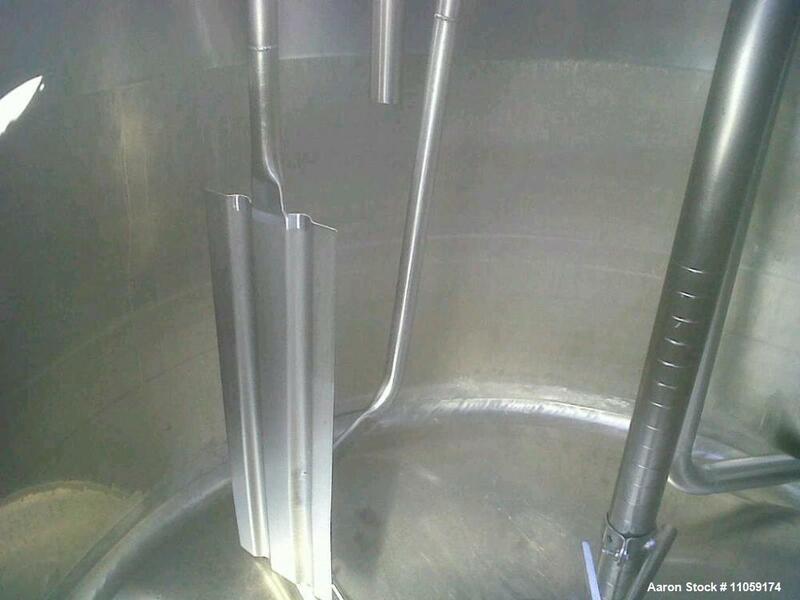 Has provisions to add scraper blades (not included). 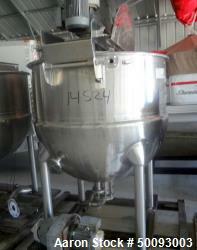 Driven by 3/1.5 hp, 460 V, 1725/650 rpm. 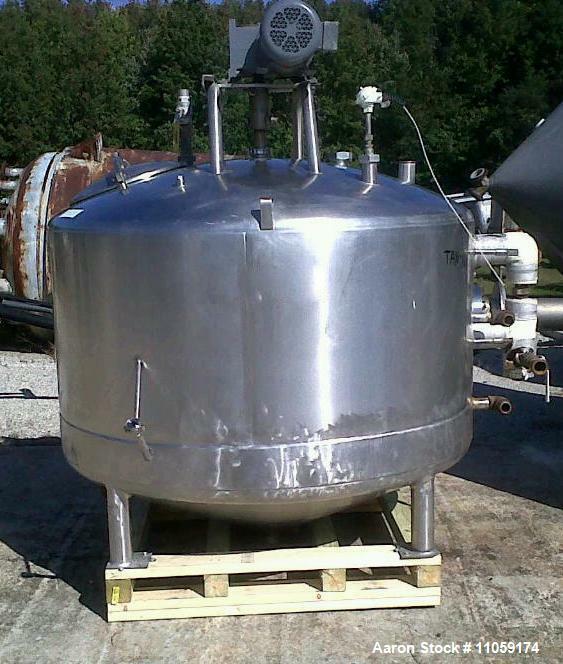 Jacket rated 100 PSI at 400 degree F. Approximately 5'4" diameter x 3' T/T plus 1'6" cone bottom. 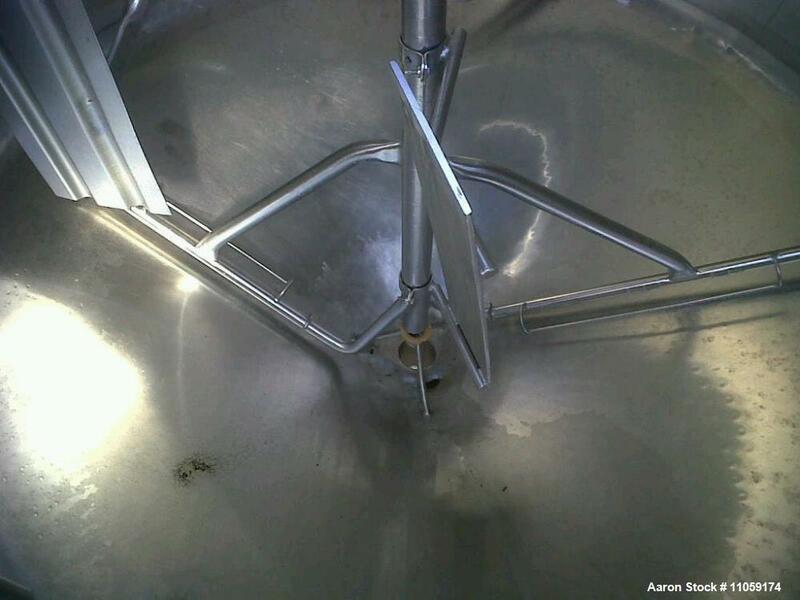 3" center bottom outlet. 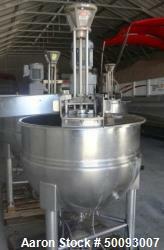 Previously used in sanitary application/ food plant.